If you will be leaving property, investment shares and/or capital to your loved ones after you are gone, you will need a will or a trust to ensure that your assets are distributed according to your wishes. Pennsylvania estate planning attorney John M. Kenney can advise you on the differences between wills and trusts and help you decide which one best fits your particular circumstances. Mr. Kenney has been helping individuals and families plan their estates since 1983. He has a great deal of knowledge about the complexities of living trusts and probate law and can assist you with any and all of your estate planning needs. When Is Probate a Good Thing? 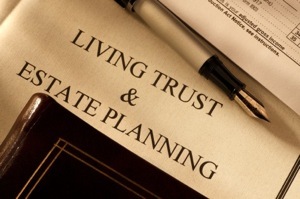 In addition to a will or trust, every estate plan should include a living will. In Pennsylvania, a living will is a legal document stating your preferences for the type of care you would like to receive if you are ever in a terminal condition with no hope of recovery. Planning now and declaring your wishes in a living will can help your family avoid having to face an unthinkable decision. Fairless Hills attorney John M. Kenney will provide you with the personal service you deserve, and will take the time to answer all of your questions. For a free initial estate planning consultation, please call (215) 547-3031, email jmk@jkenneylaw.com, or fill out and submit our online "Contact Us" form.